Margaret Anne Rainey, age 36, of Auburn, passed away in Opelika, Saturday, October 13, 2018, as a result of complications from a blood clot. Meg is survived by her parents, Alexander B. and Anne Rainey; her brother and his wife, Alex Rainey (Laura); Brooke A. Myers; niece Sadie Elise Rainey; nephews Jackson Rossee Rainey and Eli Alexander Rainey; and numerous uncles, aunts, and cousins. Meg was born on July 15, 1982, in Gainesville, Ga., and lived her entire childhood in Ellijay, Ga. After graduating from Gilmer High School, she attended Auburn University. At Auburn, she was a member of Alpha Xi Delta Sorority and graduated with B.S. Business Administration in Logistics. After graduating from Auburn, she worked in various public relations roles for the City of Auburn, including roles in the Economic Development Department, Office of the City Manager, and Parks and Recreation. 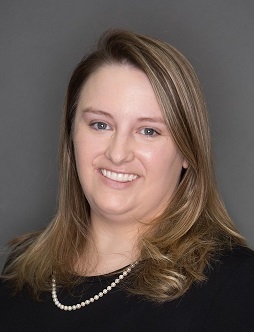 After 10 years with the city she transitioned into commercial real estate with Hayley Redd Development as a Project Manager and then as a commercial closing assistant, most recently with Davis, Bingham, Hudson & Buckner, P.C. in Auburn. Meg was a member of the United Methodist Church and attended First Presbyterian Church of Auburn where she taught Sunday School. She volunteered her time and talents with various social and religious groups including, Alpha Xi Delta, The Exceptional Foundation of East Alabama, Leadership Lee County, and Public Relations Council of Alabama. Meg was an exceptional communicator, a gifted writer, and the epitome of selflessness in her service to others. She was altruistic, always promoting and addressing the welfare of others, even before her own needs. She was funny beyond belief, and fiercely loyal to her family and friends, whom she loved until her last breath. A memorial service will be held on Wednesday, October 17, at First Presbyterian Church of Auburn at 11 a.m. CDT, with a visitation following the service. A separate reception will be held at First United Methodist Church of Ellijay, in Ellijay, Ga., on Thursday, October 18, between 4 p.m. and 6 p.m. EDT. The family ask that in lieu of flowers, donations may be made to The Exceptional Foundation of East Alabama, 300 N. Dean Road, Suite 5-177, Auburn, AL 36830, or First Presbyterian Church of Auburn.